Finally, no more cut up fingers trying to pry open that damn plastic! Come on folks, say it in unison with us: “Finally!” At long last, a company with a little clout has stood up and questioned the necessity of those ridiculous hard plastic containers that hold minuscule flash cards and the like (along with plastic twist-ties), and better still, it’s already doing something about it. 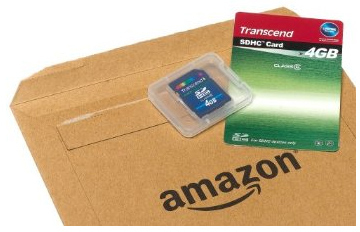 Beginning today, consumers who are tired of borrowing the fire department’s Jaws of Life to rescue their new USB drive can opt for products in Amazon’s “Frustration-Free Packaging,” which utilizes streamlined packaging that often includes recyclable cardboard. 19 products from the likes of Fisher-Price, Mattel, Microsoft and Transcend are currently available in the new containers, and the firm’s CEO has a vision of offering its “entire catalog of products in Frustration-Free Packaging” within a few years. Hey, everyone else in the gadget world — care to hop on a meaningful bandwagon for once?